There is definitely more of a chill in the air (at last), and I for one, am loving it! The colder months carry some of the most special memories, the build up to Christmas is one that I cherish - especially since having Darcie. However, with the cold comes the chance of snow, another element I love of the winter. Some hate it, especially the chaos it can bring. But as with most things, if you're prepared than you can minimise the chance of disruption. Most mums would probably agree, making sure your little ones are warm is key to ensuring a happy, runny nose free, toddler. 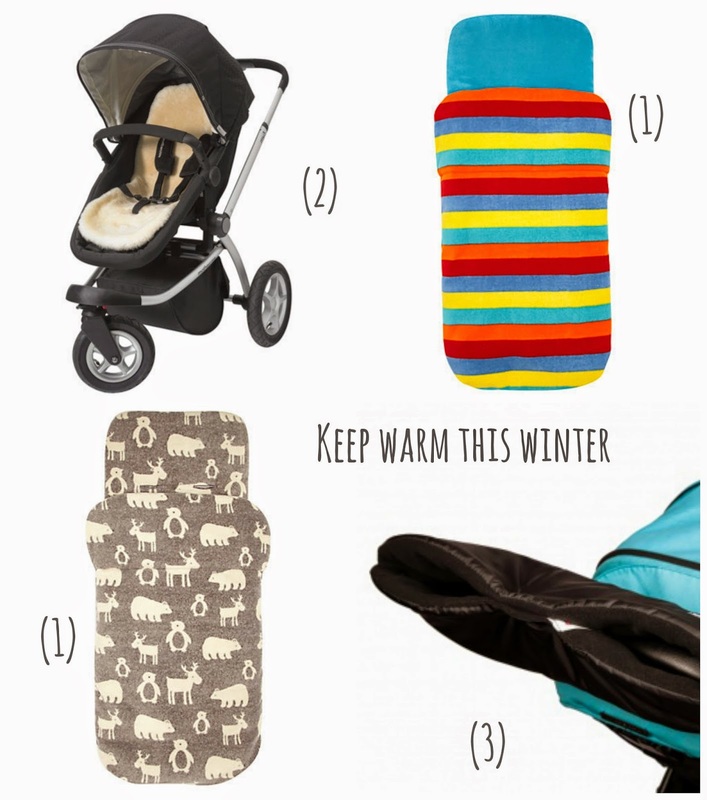 Hats, gloves and a good blanket and/or footmuff and basic necessities in my eyes with babies & toddlers. It doesn't have to cost you the earth, John Lewis have some beautiful footmuffs (1) that are very reasonably priced at £25 - £30. We purchased one from there two years ago and although Darcie is now too tall for it, it still has plenty of life left in it for a possible sibling! Alternitvley a lot of mums swear by natural sheep skin liners, these are perfect for keeping toddlers/babies warm in the winter months and cool in the summer months, Mothercare have a fab one at £49.99 (2). Mums, don't forget you too! I am rubbish when it comes to wearing gloves, it seems the same fairy who pinches one of my socks likes to do the same with gloves in our house! Though with a pushchair hand muff, this isn't an issue! I found this one at a specialist site for £12.99 (3). When preparing you car for the winter months, don't forget to keep a selection of warm blankets incase of a breakdown. While you're at it, why not also make sure you have breakdown cover too! At home its a good idea to make sure your heating system is working correctly. When I was pregnant, we had a burst water pipe and we could not use our heating until it had all been repaired. Luckily it wasn't particularly cold, and we were not without out it for more than four days - but did make me think about what 'if'! 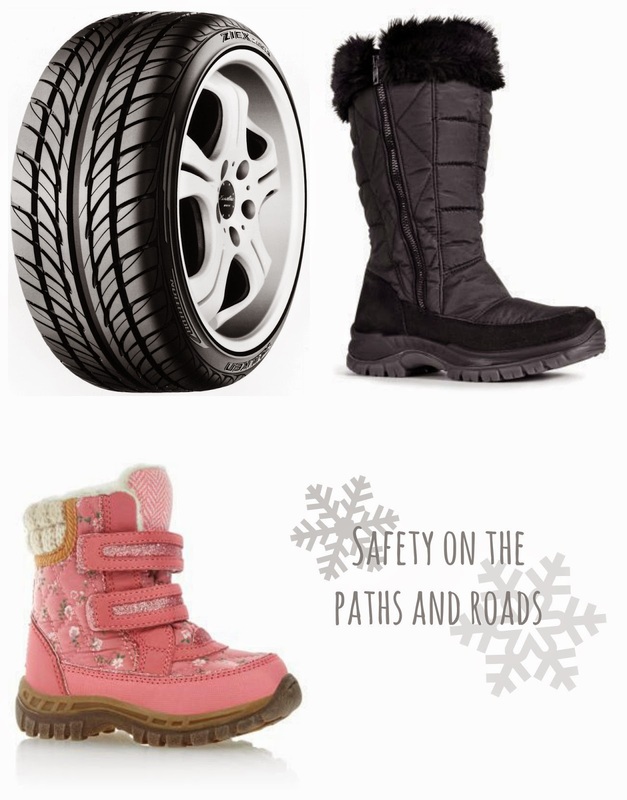 There is no doubt that winter can be a dangerous time, on foot and on road. But there are a few things you can easily do to make sure you minimise the risk. On foot, though the roads or often gritted, the paths seem to get forgotten, leading to ice rink conditions for all. This is one part of winter I actually can safely say I detest! Investing in a decent pair of shoes for these conditions can make all the difference, providing much needed grip. Though ugg boots may look beautiful, I can tell you first hand, they are not good in icey conditions! 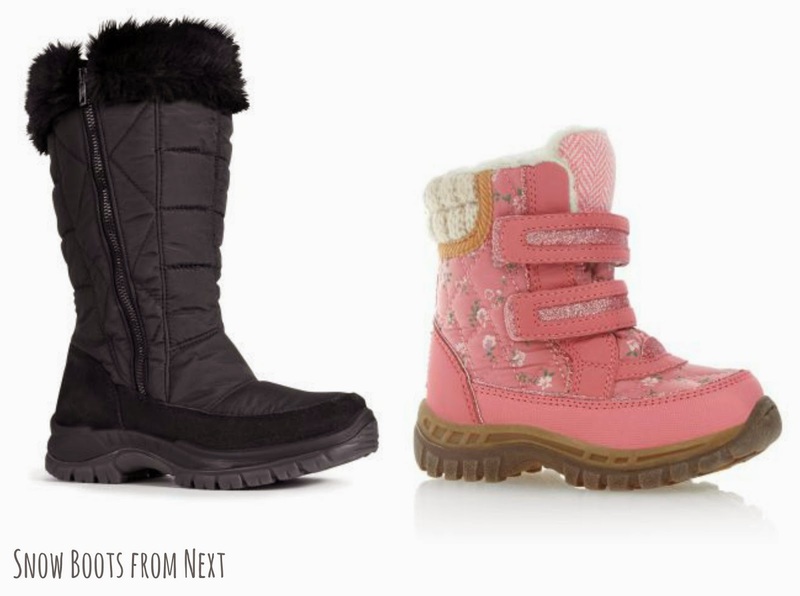 You can buy 'Snow Boots', I currently have my eye on some for both me and Darcie from Next. Both waterproof and provide good grip. On to the car, and tackling those icey roads and hazards conditions. Its a good idea to make sure your car has been recently serviced, to avoid possible brakedowns - also make sure your battery is in full working order too. Tyers, are one of the most important things to check on a car. Make sure tyre pressure is correct, with plenty of tread depth and that your spare tyre is also all ok and in good condition. Of course, you can even buy winter tyres too, there are plenty of places that will check your tyres for you and offer advice, Point-S Norfolk have centres all over the area - in fact all over the UK! Talking of tyres, same goes for those on your pushchair, snow can take its toll so make sure they are well looked after and inflated correctly. 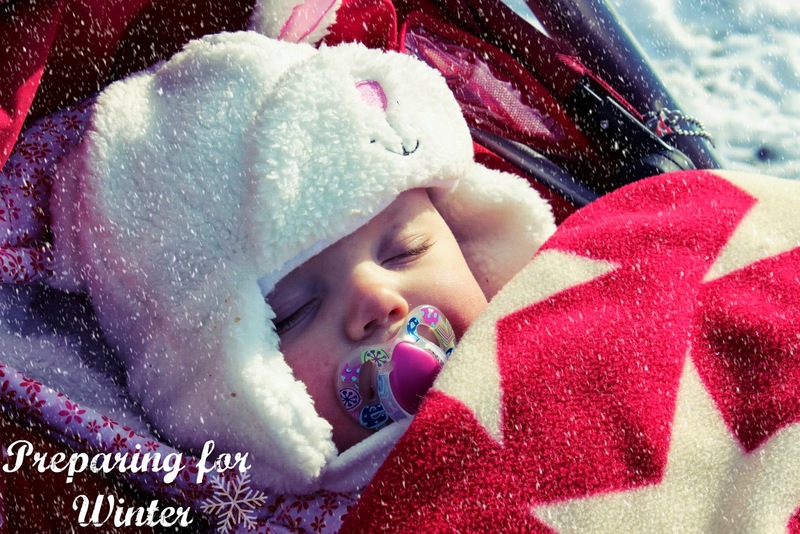 What are your tips for preparing for winter?